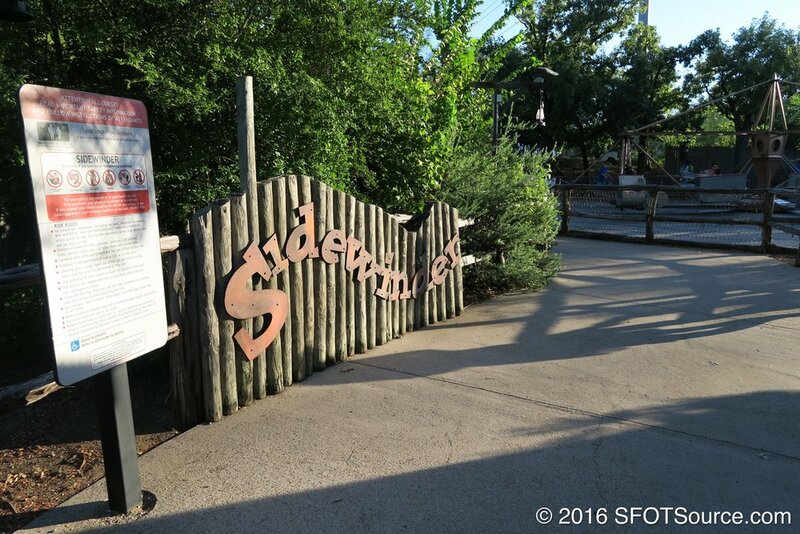 Sidewinder is actually the third time the park has had an Eli Bridge Scrambler in their line-up of flat rides. 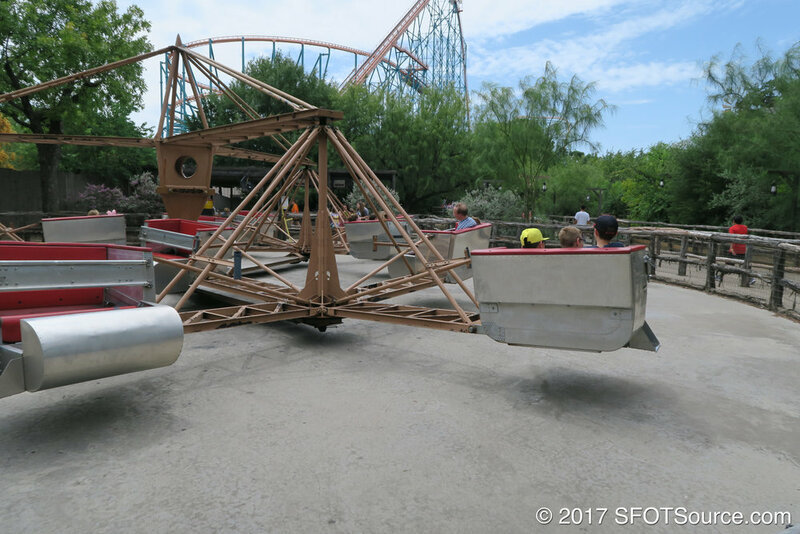 The ride was first in operation at Six Flags Over Texas from 1961 to 1976 as Missile Chaser. The second reincarnation of the ride, also named Missile Chaser, sat in the current Superman: Tower of Power ride area from 2000 to 2002. This model would be removed and sent to Magic Mountain after the 2002 season. In 2006, as part of the park's 45th anniversary, Sidewinder was installed near Titan. 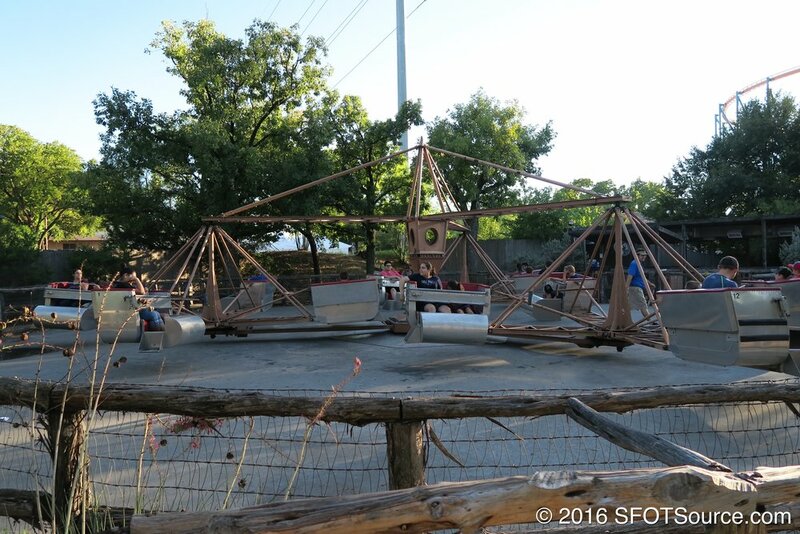 This model actually came from the defunct AstroWorld park in Houston, Texas. 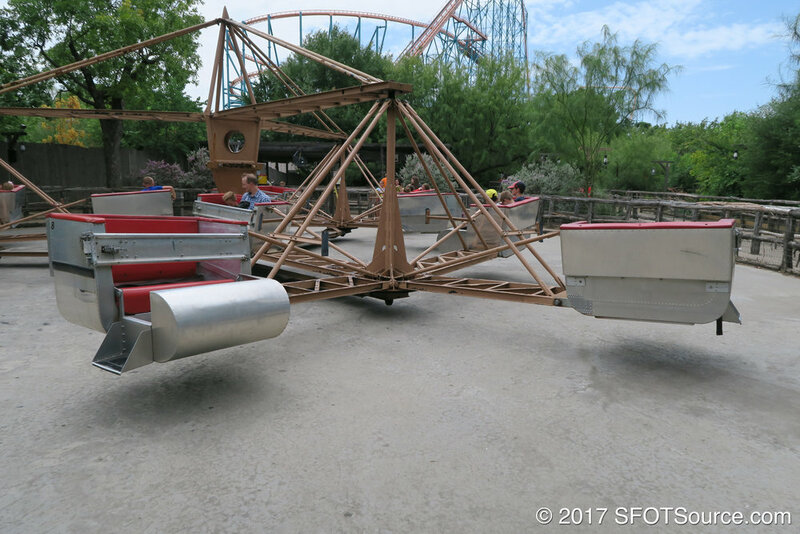 Sidewinder is installed at Six Flags Over Texas after being transported from the defunct AstroWorld theme park. Sidewinder’s cars are refurbished and repainted silver and red.